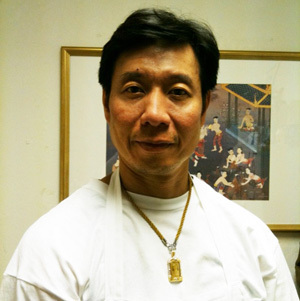 Our restaurant is a family-owned and operated establishment. Baan Thai means 'Thai House', a sign to our customers to expect authentic Thai cuisine and hospitality. We treat our guests like family, and we want our customers to feel cozy and at home. We prepare each entree with fresh ingredients to ensure the highest quality. 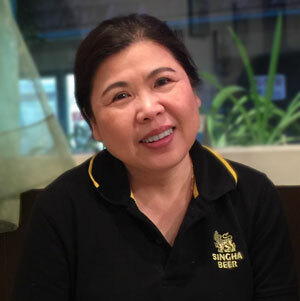 "Baan Thai opened in Seaside in February 1997, run by the capable and talented Bangkok native, Tasani Anderson. Her son, Surut (Tom) Somboonsam, and his wife June took over the following year. The couple's first year or two on their own turned out to be a learning curve, but the restaurant has now hit its stride. Put quite simply, this is one of the best Thai restaurants in the area, with creative dishes, a deft hand in the kitchen, and extraordinarily reasonable prices. Anybody who enjoys Thai food will certainly want to give this place a try. Chef Tom balances flavors well, creating complex yet subtle marriages with fresh and high-quality ingredients."